Larry Bell, The Tall Star, 2019. 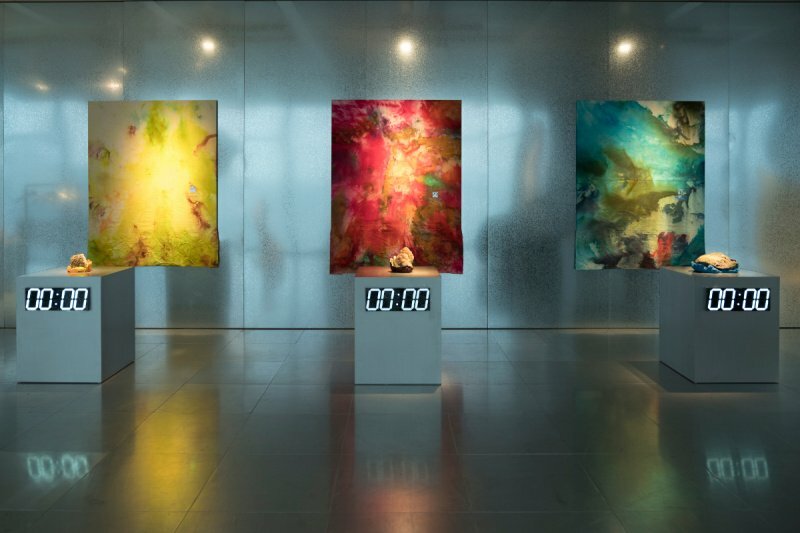 Amber laminated glass 182.9 × 259.4 × 259.4cm Courtesy of the artist. Lantian Xie, Salvator Mundi, 2019. Oil on canvas, 46 × 66 cm. Commissioned by K11 Art Foundation Courtesy of the artist and Grey Noise, Dubai. Advisory Board Crystals, Specimen Series, 2019. Canvas, dye, natural mineral specimen, clay, acrylic paint Crystal: 30.5 × 30.5 × 15.3 cm. Canvas: 127 × 127 cm. Commissioned by K11 Art Foundation. Courtesy of the artist. Hong Kong-based writer and editor Christina has covered the luxury scene for over a decade. She writes on topics ranging from beauty and wellness to arts and culture. Formerly the editorial director of Prestige Hong Kong, she now contributes to various publications including South China Morning Post, Discovery, Design Anthology, Hong Kong Tatler and Silverkris, as well as working with clients such as Louis Vuitton, Dior, Estee Lauder and Lane Crawford. K11 Art Foundation’s latest exhibition, Glow Like That, brings together a diverse and thought-provoking group of artists pondering the meaning of light. K11 Art Foundation’s annual exhibition timed to open just before Art Basel in Hong Kong got a shiny new space this year – at founder Adrian Cheng’s hotly anticipated Tsim Sha Tsui behemoth, Victoria Dockside – and so it seemed fitting that this year’s theme was, essentially, light. After all, in all these years of exhibiting in the belly of Sheung Wan’s Cosco Tower, this is the first time anyone at the foundation has had to contend with these crazy little things called windows. So if there a best time to visit Glow Like That, it’s at 5pm, the magic hour during which DeWain Valentine’s resin giant Column Blue splays the fast-disappearing sunlight into a rainbow on the slick flooring, like one of those ephemeral art-world “happenings” that’s gone before you know it. 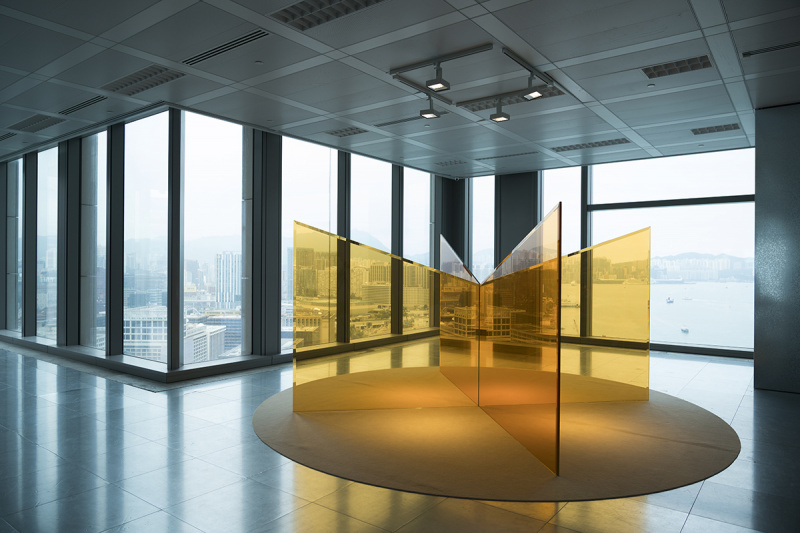 Valentine is one of the most straightforward choices for the theme, along with fellow Californian Light and Space artist Larry Bell, whose amber glass screens, The Tall Star, dominate another natural-light-filled corner. A total of 16 artists lend their presence to Glow Like That, which is curated by KAF’s own artistic director Venus Lau, who says she was shopping for a highlighter at the make-up counter when she became gripped by the concept of glow – not just your run-of-the-mill swipe of glitter on the cheekbone, but the inner glow of youth and health, the glow of the city lights after dark, the glow of computer and smartphone screens upon the faces of those transfixed by technology. Which essentially explains how these established maestros of reflection and refraction saw their pieces juxtaposed with the likes of Chen Zhou’s Blue Hole, a 22-minute film installation projected inside a purpose-built miniature glass cinema, in which the artist explores the blurred line between reality and virtuality through the thoughts and dream manifestations of young Chinese girls – as well as the dangers of going too far into the forest (metaphorically speaking, but also literally, in the case of the video work whose setting is a forest bathed in a blue cast that mimics the “blue screen of death” associated with the demise of your operating system). This being K11, the presence of emerging Chinese talent is significant, with many of them also exploring ideas prevalent in the post-Internet age, including Foundation-supported artists Zhang Ruyi and Alice Wang. 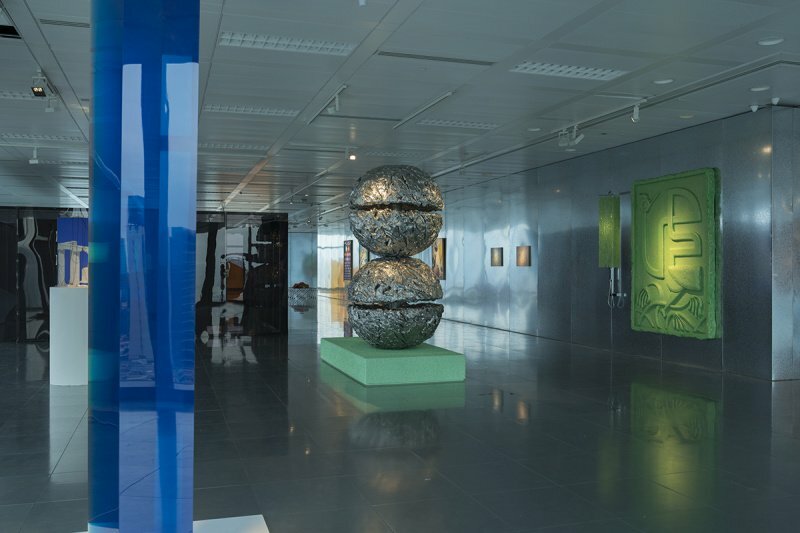 There are four works by Yu Honglei, whose practice often leads him to create sculptures based on imagery made mundane by digital media, lending these overlooked tropes some type of reverence – take the verdant Gold Sand River and the Klein blue Black Dragon River, wall-mounted bas-reliefs that are attached to some interpretation of a shower head, complete with water droplets forged of crystal beads. More interesting, perhaps, was Xie’s spotlit replica of Da Vinci’s Salvator Mundi, which hangs in one lonely corner of the venue. 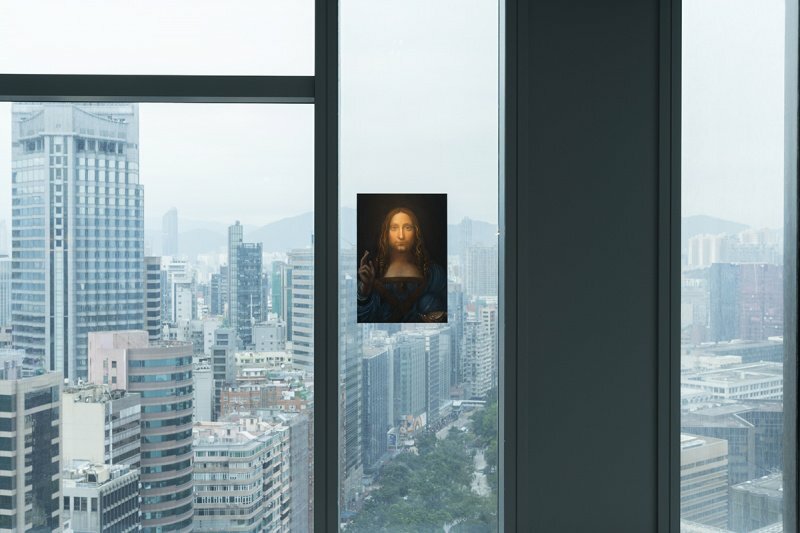 Though it’s been some centuries since the painting was executed, purportedly at Da Vinci’s sole hand, it’s been a heady news subject in the last couple of years, first when it became the world’s most expensive painting sold at auction, supposedly to an agent on behalf of the Louvre Abu Dhabi, and now for having seemingly disappeared, leading to a mysterious cancellation of its public showcase late last year and a flux of media reports that continues up to this minute. It’s not the first time Xie has delved into the culture of replicas – a 2012 work comprising 12 copies of the official portrait of Dubai monarch Sheikh Mohammed bin Rashid Al Maktoum delved into the politics of authenticity, relating particularly to the artist’s adopted home, which is oft accused of copying facets of other cities. Fascinating, indeed, but wherein lies the glow? Broad as Lau’s interpretation of the theme subject is, the selection of works sings cerebrality, yet also feels a little disparate. 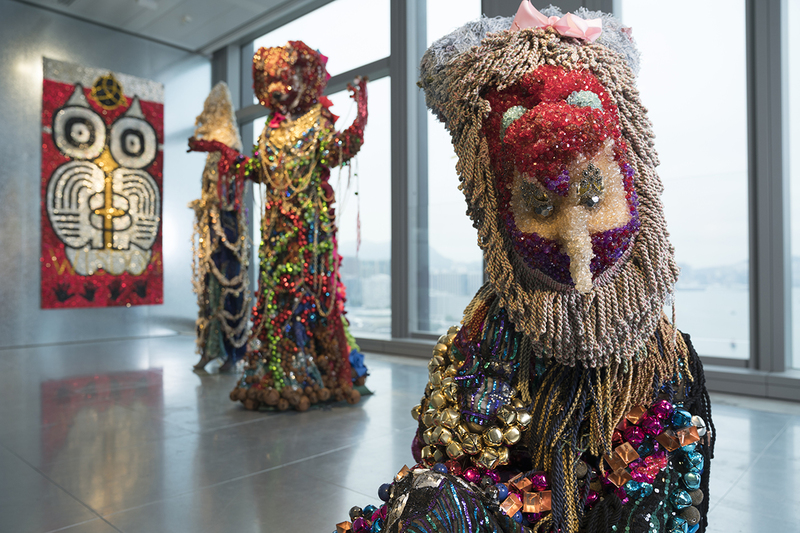 There’s the trio of Raul de Nieves’s figurative sculptures that are relatively literal in glow, with their ornately woven garments of shiny sequins, costume bling and a proliferation of beads. Directly opposite, in a nod to millennial culture, wellness-influenced streetwear brand Advisory Board Crystals have infiltrated the proceedings, with a trio of tie-dyed cotton canvasses a backdrop to three lumps of crystal – the kind that give you that wellness glow, perhaps. At timed intervals, squares of fabric are cut from the hanging works and affixed onto K11 logo T-shirts at adjacent sewing stations, which are sold on the K11 Art Foundation website for HK$980 a pop. Is it performative? Participatory? Or perhaps satirical? Whether by design or accident, the shirts are already being resold in online marketplaces for more than double the original price, a neat example of life imitating art – or at least the art market. That Glow Like That comprises in excess of 40 works is no small feat, so it’s easy to forgive an occasional tenuous grip on theme. A latter-years market darling for 2019, Tishan Hsu is an appropriately on-trend inclusion whose oeuvre can be tied somewhat loosely to themes of city light and life. His prescient practice in the ‘80s meditated upon the overlap between humanity and technology, and though the artist fell from the public eye for some 20-plus years, his concepts are more relevant than ever today – for example, while originally produced in 1990, Virtual Flow is a sculpture combining a showcase of weird medical growths with a TV encased in a cart made of Pepto Bismol-pink ceramic tiles. It could definitely have been conceived today. Christina Ko is a Hong Kong-based writer and editor who has covered the luxury scene for over a decade. She writes on topics ranging from beauty and wellness to arts and culture. Formerly the editorial director of Prestige Hong Kong, she now contributes to various publications including South China Morning Post, Discovery, Design Anthology, Hong Kong Tatler and Silverkris, as well as working with clients such as Louis Vuitton, Dior, Estee Lauder and Lane Crawford.